To support Malian healthcare professionals working with vulnerable orphans. 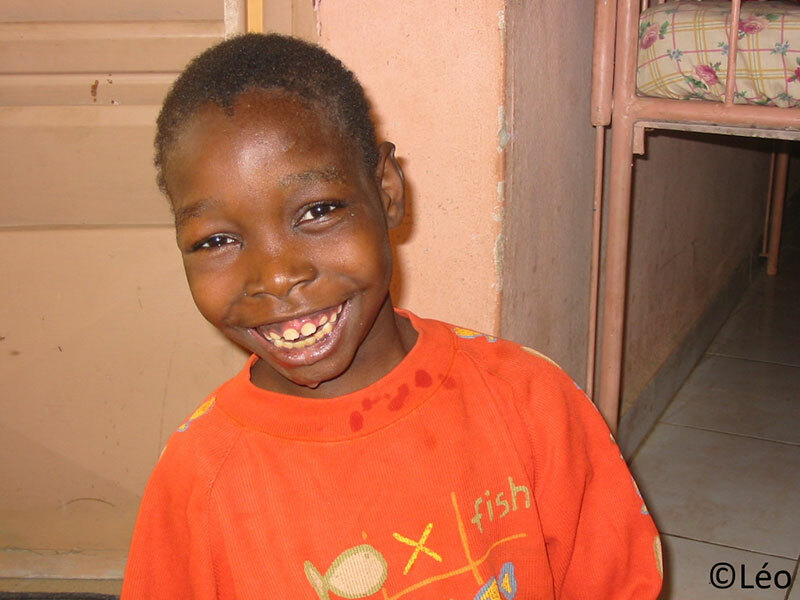 In January 1999 in Bamako, Mali, Juliette Soto became aware of the abandoned, disabled orphans. The Leo charity (the law of 1901) was founded in France to support these child outcasts. Leo is the name of the first orphan the charity started to care for; his smile became the charity’s logo. Leo is now 20 years old and has been able to make progress in spite of his serious handicap. Newsletters in French, greetings cards. The Leo charity helps local peopl despite their traditions and culture. Thanks to the good will of many people, the children are making improvements now they have the benefit of uninterrupted medical care. The children who are able to communicate let us know they appreciate and are touched by the comfort we are providing to them, for those who are more heavily handicapped, we do our best to make their life less difficult. Thank you for supporting us. Without you, nothing would be possible. 1) What is the Leo Charity Organisation ? Leo is the name of the first orphan the charity took under its wing; his smile became the emblem of the charity. He is now more then 20 years old and has made progress in spite of his serious handicap. 2) What are the objectives and goals of the charity ? 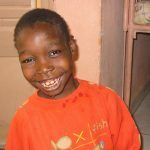 – Support abandoned handicapped orphans in Bamako, they are doubly excluded by being both orphans and handicapped. – Prioritise above all the interests of the children when seeking solutions in their own country with local partners and the Malian public authorities to their funding requirements and their futures. – Put emphasis on their care and activities: neurological consultations, orthopedic treatment, therapy, schooling, educational activities, teaching, play…..
3) Where do they live in Bamako ? Places for handicapped children to live do not exist in Mali. CAPF, otherwise known as the Bamako Children’s Home, makes room for them in the absence of an alternative. The oldest child is more than 20 years old…. 4) Who looks after them ? 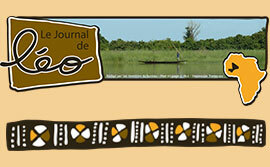 Local Malian professionals: doctors, therapists, educators….The charity helps to pay for the fees. 5) What are they suffering from ? There are many different problems: Motor disability handicaps, mental illness, cerebral palsy, autism…. The number of children is growing constantly: there are 40 in 2017 with regular new admissions but also there are deaths due to the frailty of these children and the difficult sanitary conditions. In Mali, 1 child in 5 dies before the age of 5 years old. 6) What activities can they do ? 7) What are the results ? Under a partnership agreement with the local ministry guardian, the charity provides funding to care for them and to educate them: the children are improving, they do not suffer from malnutrition and they are benefitting from ongoing medical supervision. We have been caring for some of them for more than 17 years, sadly others have short lives. 8) Where do the funds come from ? From the generosity and loyalty over the last 17 years of sponsors, and donations from individuals, associations and businesses. 9) Who are the partners ? In Bamako : CAPF, DNPEF, Santé Sud, Centre Bernard Vespieren, CRHP, AMALDEME. CNAOM, Spana. In France : Santé Sud Marseille, Demisenya, Klali Nantes, Le Cœur au Mali Rodez, Blachère Apt, Rencontres des Cultures Saignon, Mairie de Mazan, Malik Nejmi. 10) 10) What are the charity’s projects ? hese children are very weak, improvement in their care cannot happen without the permanent involvement of the Malian guardian authorities who determine the methods of intervention and the effectiveness of specific actions linked to the handicap. – Strengthen local competencies in partnership with the professionals of the Santé Sud Marseille and Bamako NGO. – Study the feasibility of family placements, and professional and social inclusion for these children and young adults within the Malian socio-cultural context. – Participate in the development of a living space project adapted to the needs of the growing handicapped children. 60% of them have passed the age limit for the Bamako Children’s Home (5 years old) and 3 are now adults. What are the charity’s objectives? 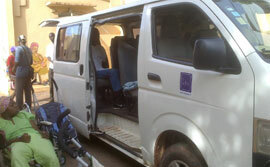 To improve conditions for the lives of handicapped orphans in Bamako. They suffer from the double exclusion of being both orphans and handicapped. The charity provides financial assistance to care for and educate them: the children are making improvements and they have the benefit of medical care. We have been caring for some children since 1999, others, sadly, have had only short lives. We prioritise the interests of handicapped orphans in dealing with the Malian authorities and local partners to improve their care and plan for their future. We pay for medical care, neurological and orthopedic consultations, therapy, schooling, play and teaching activities. You can support our activities with handicapped orphans by completing the donation or sponsorship form.